For most Indians, car is one of the most costly possessions. Apart from the residence, Indians usually make major investments in buying cars. If you are one of them, you would surely make all the efforts to ensure that your car is well protected. To ensure complete protection, you should consider a comprehensive car insurance plan. In India, car insurance is a legal requirement, however, given the road and traffic structure, car insurance is a necessity in India as well as compulsory. Over 2 million cars were sold in India in 2014-15. So, you can easily understand how crowded are India streets at present. It is impossible to ascertain safety while driving on Indian roads as thee are countless vehicles running around all day long. It doesn't matter how safe and skilled you are as a driver, driving cars always entails some risks on Indian roads. And this is why a car insurance is a must in India. Here are some other reasons why you should go for a comprehensive motor insurance policy for your car. People in India hardly maintain traffic rules. Regardless of whether you live in a metro city or in a small town, you would invariably come across some outlaws who take pleasure in bending traffic rules. In spite of not being at fault, you will have to shell out huge amount of money if your car is damaged due to others' fault if you are not protected by a comprehensive car insurance plan. Apart from a handful of National Highways, most roads in India are in deplorable conditions. These bumpy roads often lead to different types of car damages. Apart from the poor road conditions, pedestrians, animals also increase the chance of car accident on Indian roads. In 2015, 3 people were killed in nine accidents in every 10 minutes. The casualty rate has risen by 9% in just a period of 4 years. Similar to road accident, India also holds one of the top positions when it comes to car-theft. In 2015, 1 vehicle was stolen in every 13 minute in New Delhi. If you also live in a place where crime rate is high, you must resort to a comprehensive motor insurance policy that pays out financial compensation in case your car gets stolen. A comprehensive motor insurance policy in India safeguards the insured vehicle from a wide range of natural disasters such as storm, earthquake, flood and man-made calamities like strike, riot, burglary and house-breaking. Most car insurance companies in India offer a myriad of car insurance add-on covers that you pick to strengthen the regular coverage on offer at a basic car insurance plan. You can avail some of the much-needed support like roadside assistance if you avail these add-on covers. In a nutshell, a comprehensive car insurance policy will take all your stress and anxiety away about the safety of your comprehensive car. You still have to drive cautiously but you don't have to worry about fault of others and financial losses due to theft and damages to your cherished vehicle. You just have to pay premium of your car insurance plan before expiry and stay protected throughout your life. Why Should You Buy Car Insurance Online in India from PSUs? At present car insurance companies in India are divided in two categories. The older and the most reliable sector is the public sector and there are 4 PSUs that offer motor insurance plans. Apart from that, more than 25 private insurers in India also provide online car insurance policies. Among this huge profusion of providers you need to find out the best provider of car insurance online plans in India. Although, private car insurers come with many facilities like advanced customer service, most car-owners in India still prefer public sector general insurance companies for the following advantages. Public car insurance companies in India charge comparatively lower premium than their private counterparts. Public car insurance companies have made strong presence and now it is possible to buy and renew car insurance online conveniently and quickly. Why Should You Opt for National Insurance to Fulfill Your Car Insurance Needs? There are 4 PSUs in India that offer car insurance plans. Among these 4 car insurance companies, National Insurance Company Limited is the oldest one and has been serving Indian consumers for over a century. In present times, NIC boasts around 15,000 employees who operate from approximately 1340 offices and 373 business centers all over India and also in Nepal. National Insurance has collaborated with leading manufacturers including Maruti, Honda, Tata Motors, Nissan. Hence, when it comes to car insurance in India, National Insurance Company can well be your best pick. National car insurance policies are designed for those cars which are generally used for professional, domestic and social purposes. Any registered owner of vehicles used for these purposes are eligible for National motor insurance policies. Motor insurance plans available with National Insurance Company come with a a myriad of beneficial features apart from the regular coverage. 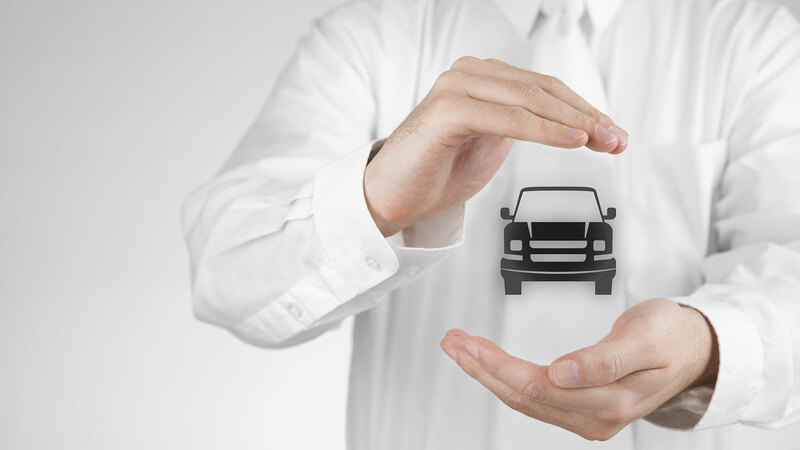 Let's take a look at the advantages of availing National motor insurance policies. National car insurance plans offer cashless repair and replacement facility in all workshops across India in the network of National Insurance Company. National motor insurance policies provide maximum compensation of Rs. 7.5 Lakhs as per the guideline of IRDA in case of third party property damage. Car insurance plans offered by National Insurance come with a range of add-on covers such as zero depreciation cover that you can avail to enhance the coverage even further. National car insurance plans also come with several different discounts like NCB that you can avail to reduce your premium outgo. Long-term National motor insurance policies are also available apart from the car insurance plans that are issued annually. National Insurance Company was recognized ‘Best in Service’ in the business of health and car insurance in India which makes the lion's share of 63% in general insurance market in India. NIC is one of the most trusted car insurance companies in India and you can consider buying motor insurance policies from National Insurance from the official portal of National Insurance Company Limited. Alternatively, you can also resort to GIBL.IN, the premiere online insurance marketplace in India to buy National car insurance plans online.